This time around we are coming with new and exciting functionality to our REST API, but also with an important note regarding the SOAP API. Please take heed of all the changes as removal of the Connect method, in particular, will affect many of you. We are extremely happy to announce that long-awaited feature has finally landed in our REST API. This time we are expanding our booking portfolio – by adding the ability to book and send invoices via EAN (NemHandel). Sending electronic invoices is quite complex “under the hood”. However, we have focused our efforts on removing the entire complexity for API consumers, and thus making it as easy as possible for our integration partners to empower their consumers. You can read more about this new functionality on our Tech-talk, as well as check out our REST docs for more details. Tip: If you decide to implement EAN functionality in your integration, you might consider MobilePay Invoice a further extension to the booking capabilities you offer, as it requires a minimal amount of code changes. 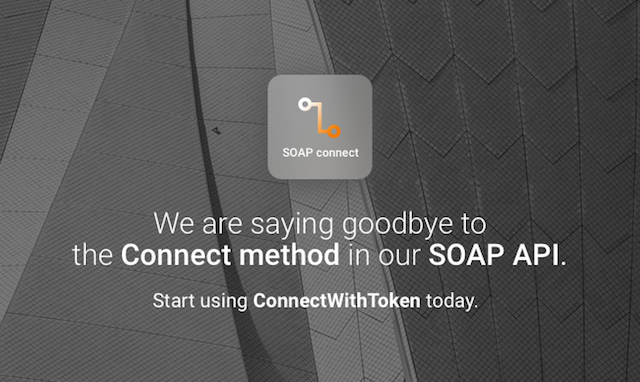 If you're a user of our SOAP API, you have most likely come across the Connect method, which is our most basic authentication method in SOAP. The Connect method was introduced as our first authentication method. At the time it was released, it provided all that was needed – access. Unfortunately, this method no longer fulfils the requirements in the current state of the e-conomic ecosystem. It doesn't meet all recent security standards and it doesn't provide the required transparency for the consumers in terms of who uses their accounting agreement, and when. Considering these issues as well as the availability of the more modern ConnectWithToken method, we will be removing the Connect method on 31.01.2018. If your integration uses the Connect method, please apply the required changes as soon as possible. In order to ease and speed up the process, we have provided guide to help you through the changes.. If you have doubts on how to proceed with the migration, please contact our (support team) who will be more than happy to help you.